As always with a new month comes new holidays to help you keep your content fresh. Whether you’re an artist or a brand, keeping on top of social trends one of the most important aspects. We know how coming up with content can be time consuming and exhausting and let’s be honest we can’t be creative 24/7 (even the pros need a break sometimes), but having social media holidays can help keep up your momentum and can help you plan ahead if you know a specific holiday is coming up. 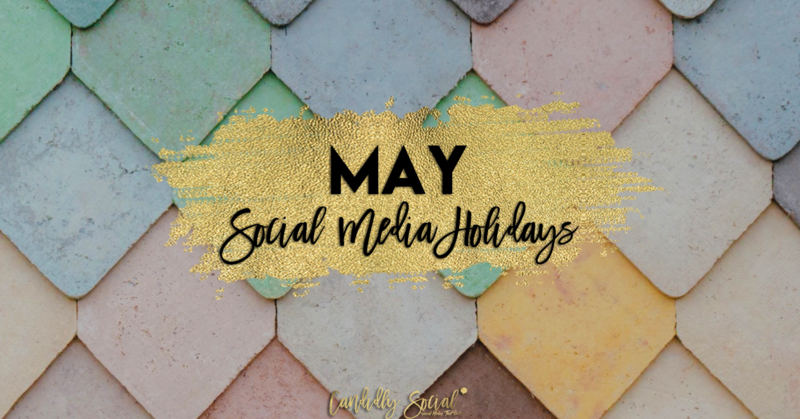 Check out our social media calendar for the month of May to help you fill in the blanks when you’re feeling stumped and need some ideas for content.